The annual Moulid Nabiyy "Olaotiipin 2018" will tomorrow, Saturday come up in Iwo, Osun state. According to a statement made available to Amiloaded, the event will hold at Cee Bee Hotel, Iwo at 10:00am. 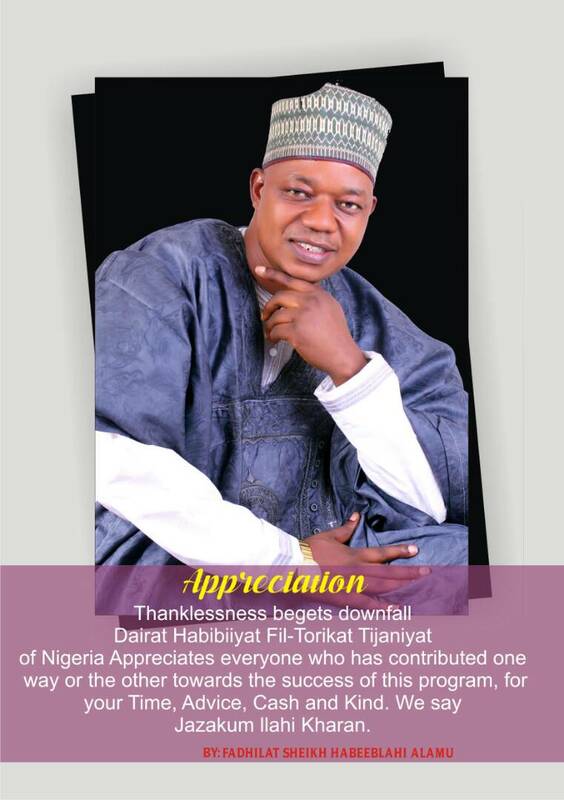 The statement reads, "Dairat Habiibiyal Taoreeqot Tijaniyat Ibraheemiyat cordially invites the public to the Annual Maolid Nabiyy "Olaotiipin 2018"
Spiritual Father Of the day is Abdulhameed Abdulsalm, the Royal Father of the day: H.I.M Oba (Dr) Abdulrasheed Adewale Akanbi Telu 1. "Expected Guests are Kunle Rasheed Adegoke (Krad), Eng. Mumini Olabanji, Alhaji Moshood Adeoti, Hon.Abdulrasaq Salinsile and Alhaja Aminat Shittu."